Imec's and Holst Centre's ultra-low power multi-standard 2.4 GHz transceiver compliant with the most common short-range wireless standards (Bluetooth Low Energy, ZigBee, IEEE802.15. 6). Imec and Holst Centre presented at ISSCC an ultra-low power multi-standard 2.3/2.4GHz short range radio. The 1.9nJ/b radio is compliant with three wireless standards: Bluetooth Low Energy (BLE), ZigBee (IEEE802.15.4) and Medical Body Area Networks (MBAN, IEEE802.15.6). A proprietary 2Mbps mode is also implemented to support data-streaming applications like hearing aids. The radio is 3-5 times more power-efficient than current Bluetooth Low Energy solutions. "From health care to smart buildings, adding sensors to our environment will support and enhance our day-to-day life. Applications are numerous and restricted mainly by our imagination… and by the power consumption of the mostly battery-operated sensor devices," said Harmke De Groot, Program Director Ultra Low Power Circuits at Holst Centre/imec. "The radio often consumes between 50-85% of the overall power consumption of a sensor system. And for autonomous devices, with only a small battery and thus limited battery energy, the power consumption of commercially available short-range radios is rather high (>15mW DC power)." 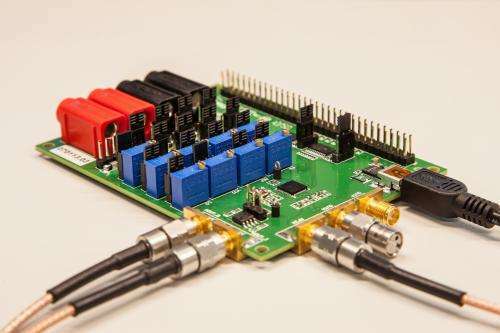 Imec and Holst Centre developed an ultra-low power multi-standard radio with state-of-the-art sensitivity. The radio significantly reduces the power consumption of the overall sensor system compared to off-the-shelf radios. As a result, the autonomy of the device is increased, or more functionality can be added to the sensor device, increasing its quality, functionality and/or performance. Or, the battery size can be reduced, resulting in a smaller device, which in case of wearable systems, adds to the comfort of the user. The 2.4GHz radio is implemented in 90nm CMOS technology. Using a highly energy efficient architecture and optimizing the most power hungry building blocks, resulted in a 2.4GHz radio with world-class energy efficiency while supporting the most common standards for mobile sensor networks (BLE, ZigBee and IEEE802.15.6). Imec and Holst Centre's energy-efficient radio architecture has a suitable LO frequency plan and several efficiency-enhancement techniques for the critical RF circuits. As a result, the radio achieves a DC power of only 3.8mW at 1.2V supply for the receiver and 4.6mW for the transmitter. This is 3 to 5 times more power-efficient than the current state-of-the-art Bluetooth Low Energy solutions. The measured RX noise figure is 6dB, resulting in an excellent sensitivity in each standard (-100/-98/-96.5dBm for Zigbee/BLE/MBAN). With a measured IIP3 of -19dBm at the maximum front-end gain, the RX can accommodate the BLE intermodulation test level to -40dBm (spec. >-50dBm). These results were presented at the 2013 IEEE International Solid-State Circuits Conference (ISSCC) in San Francisco (February 17-21, 2013).